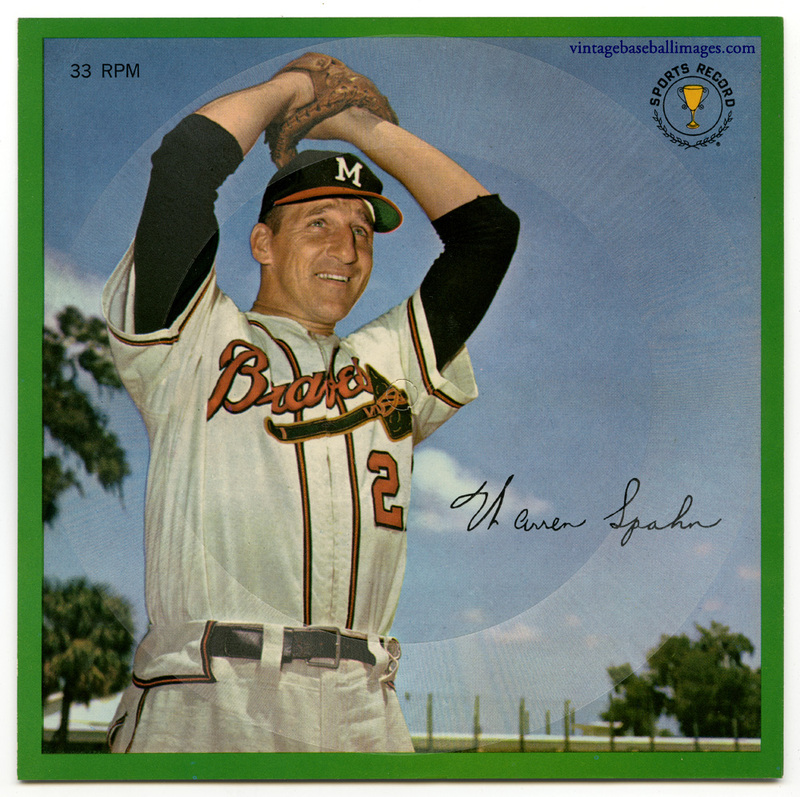 This 1964 Warren Spahn flexi disc (for those who aren’t familiar with what that is, it’s a lightweight record printed on a flexible vinyl sheet) is part of a series produced by a company called Auravision for what I believe was a few years in the early 1960s. 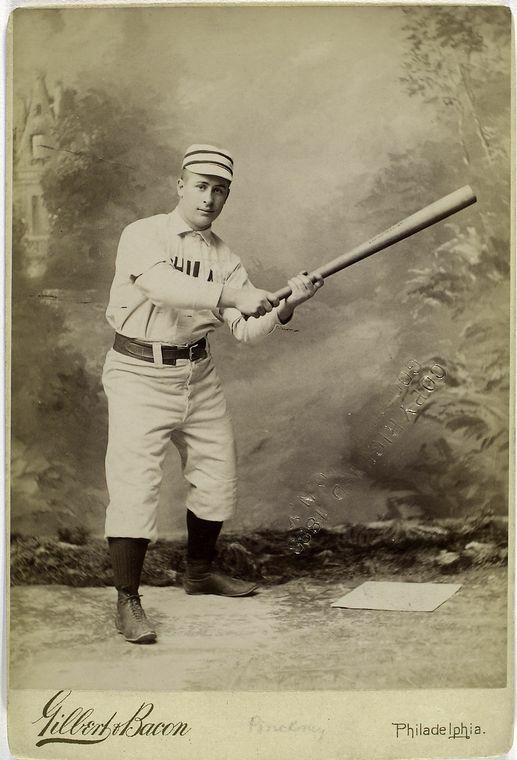 Others featured included players such as Mickey Mantle, Sandy Koufax, Don Drysdale, Bill Mazeroski, Willie Mays, Whitey Ford and Frank Robinson. 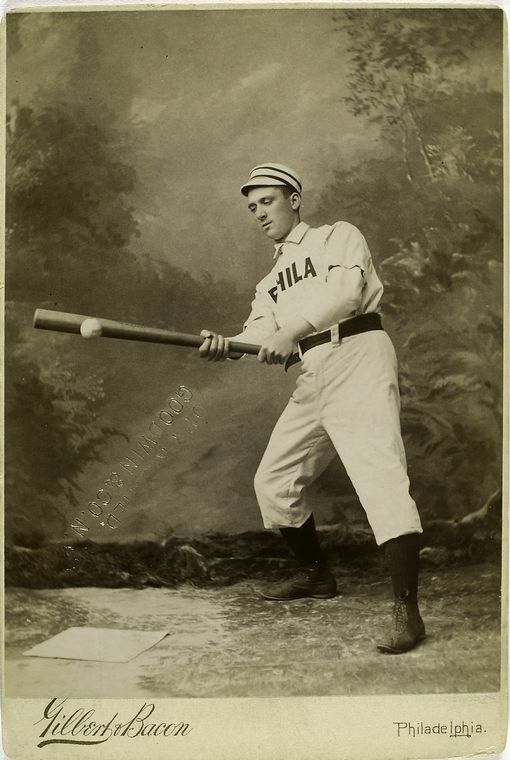 The back of the record looks more or less like a baseball card, with the player’s year-by-year statistics listed through the previous season. I thought it was interesting that while Spahn’s record in 1963 was a remarkable 23-7, he only recorded 102 strikeouts in 260 innings. It does seem that batters struck out less in previous eras (as a recent Sports Illustrated article discusses), but still, the major league leader that year among pitchers was Sandy Koufax, with a healthy 306. 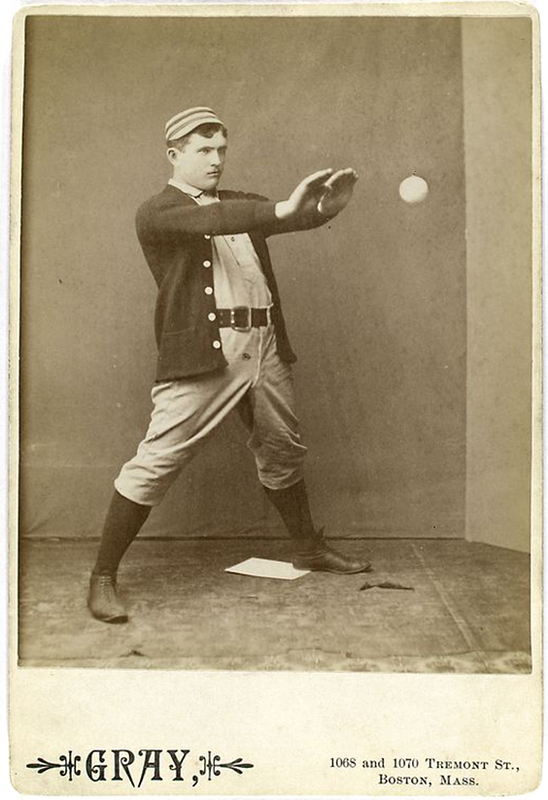 Spahn was, rather amazingly, 42 that season, so must have brought to bear all the craftiness with which nearly 20 years in the big leagues had endowed him. 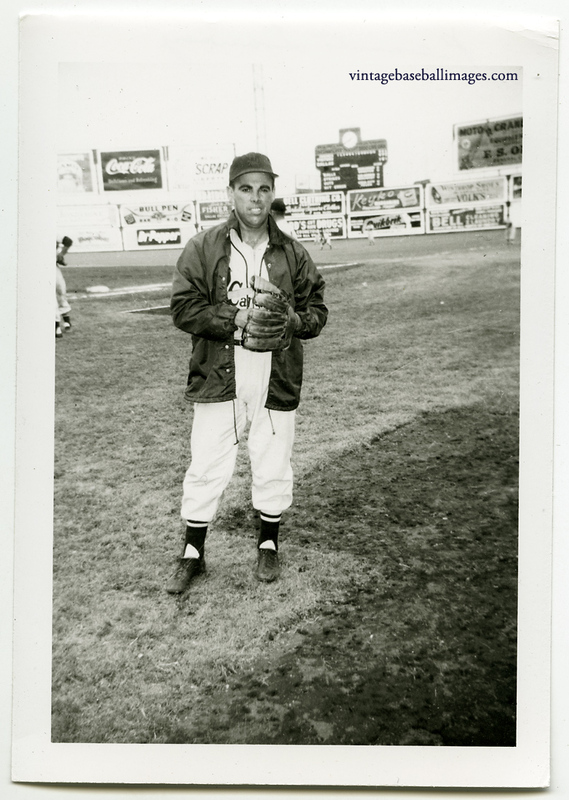 In any case, that was the last season in which he would post a winning record; in 1964 he was to fall all the way to 6-13, while his ERA more than doubled. 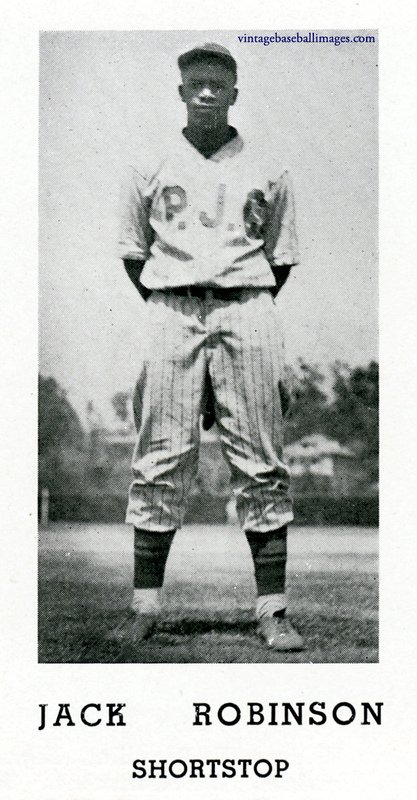 What is now Pasadena City College in Pasadena, California was previously known as Pasadena Junior College, and the 1937 yearbook for the school features “Tech transfer” Jack Robinson (as he is called in the baseball and track sections) in his P. J.C. Bulldog uniform (though he seems to have missed the team photo). The 8-page varsity baseball section also includes brief accounts of the season’s games, an example of which is included below. 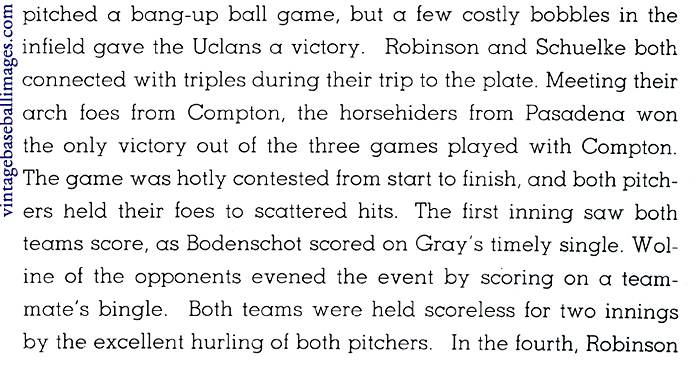 It is full of charming lingo, such as “horsehiders,” and descriptions like the one of a batter who “swung a mighty bludgeon in this fray, and sent one out over the fence.” Interestingly, it seems the College also played company teams at times — Pasadena’s last two games took place on “the beautiful Emerald Isle of Catalina” (which in those years also served as the spring training home of the Chicago Cubs) against “a strong Firestone Tire team,” with which Pasadena split two games. 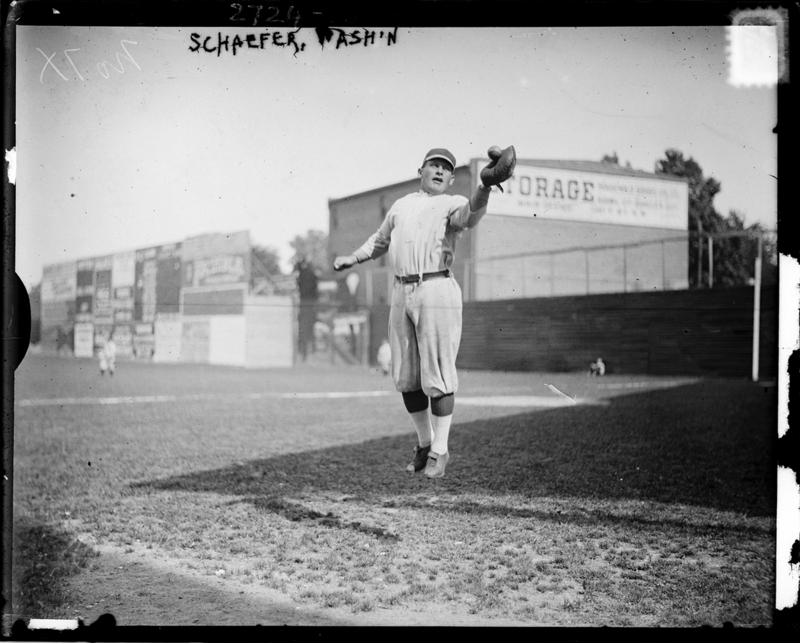 Sadly, Schaefer died of complications of tuberculosis in 1919 at the age of 43, just over a year after playing his last major league game. 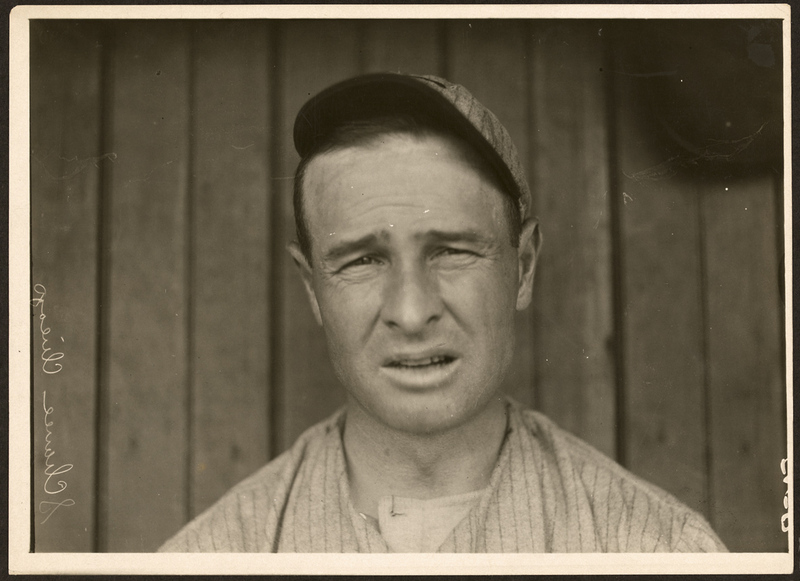 You are currently browsing the Major League players category at Vintage Baseball Images.